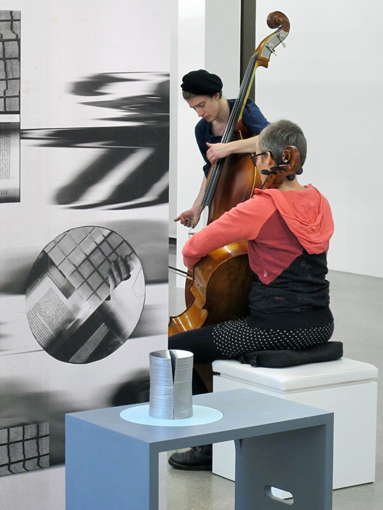 At the Austian Cultural Forum New York Studio Dan performs original music that was written to accompany the multimedia installation HOMO FABER by Krüger & Pardeller. Displayed from 2014 to 2015 at the 21er Haus in Vienna, HOMO FABER focused on the role of artists as the creators of new artifacts. The installation juxtaposed historical sound recordings and works by sculptor Fritz Wotruba with texts and works from the artist duo Krüger & Pardeller, alongside Daniel Riegler's compositions. A video of the installation by Krüger & Pardeller will run in ACFNY's theater. December 1st we celebrate the release of our CD at the Austrian Cultural Forum New York.